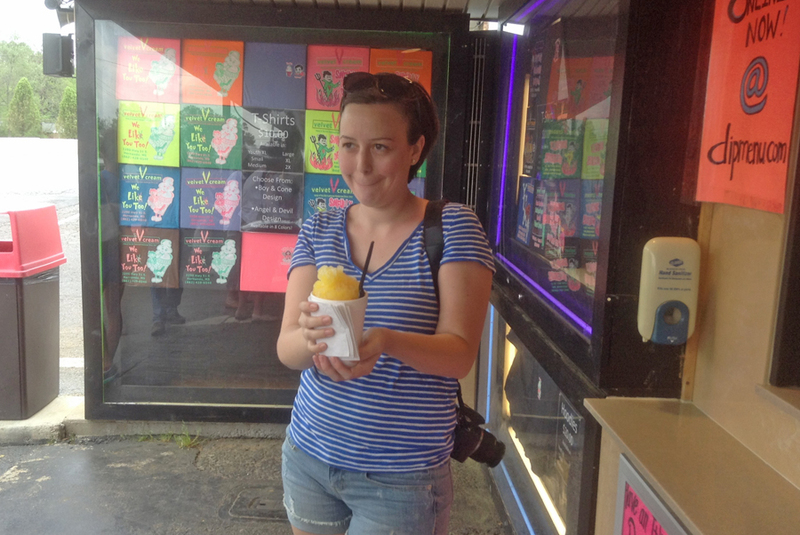 Nothing can turn a dignified adult into a kid faster than ice cream and candy. So let's track down some of my favorites. 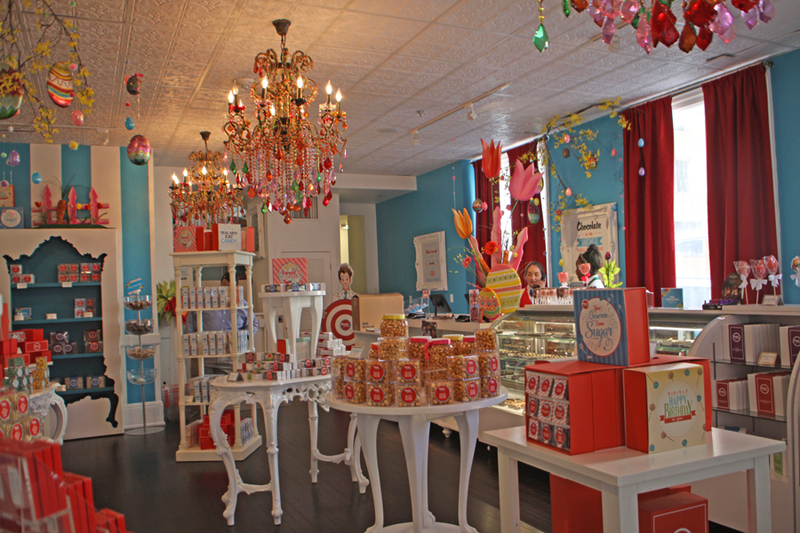 Here are some really sweet shops I have visited in the past few years. In 1940, Elsie, the Borden's cow, and Borden's ice cream parlors were all over the country. So when the one in Lafayette, Louisiana opened it was no special event. 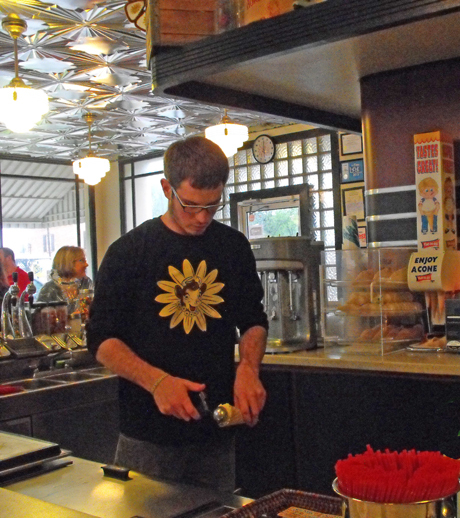 Today, that is the last remaining Borden's ice cream parlor in the entire world making it something very special. After all, "If it's Borden's, it's got to be good." Velvet Cream which opened on July 23, 1947 at its current location, 2290 Hwy 51 S., is the oldest, continuously-run restaurant in Desoto County, MS. Back then it was more of a hamburger and milkshake joint where local kids hung out. Hwy 51 was still a gravel road and the business was in what was once a cotton field. Today,. 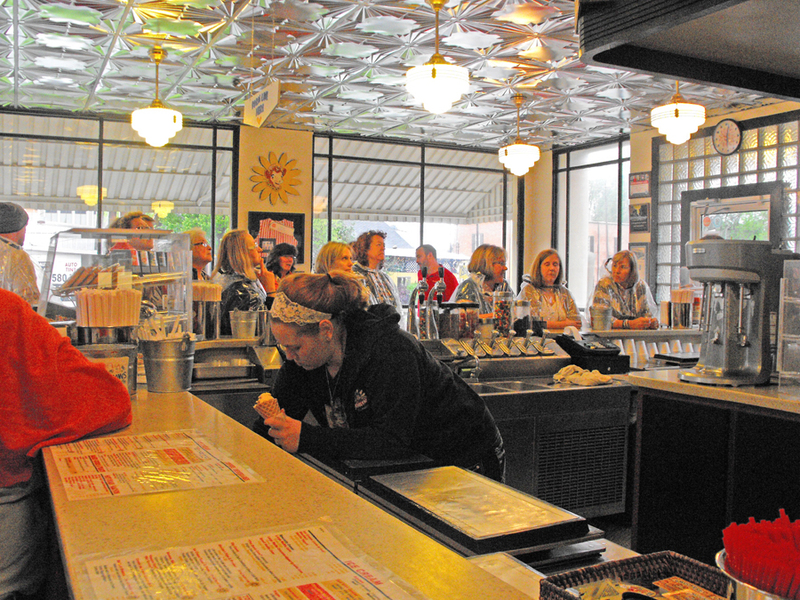 Highway 51 is busy and paved and Velvet Cream is one of DeSoto County's most popular places to get any kind of ice cream. 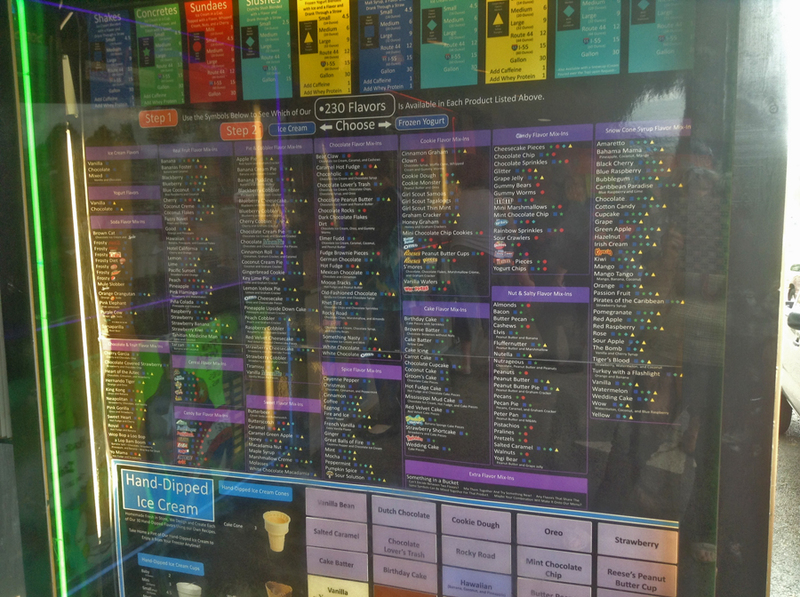 They offer 230 flavors of ice cream most of which are available in several products such as cones, sundays or shakes. What I sampled: White Chocolate Ice Cream Sunday. Ice cream is great, Candy is super. Offer them both and you have a winner in my book. Lofty Pursuits is a winner all the way. 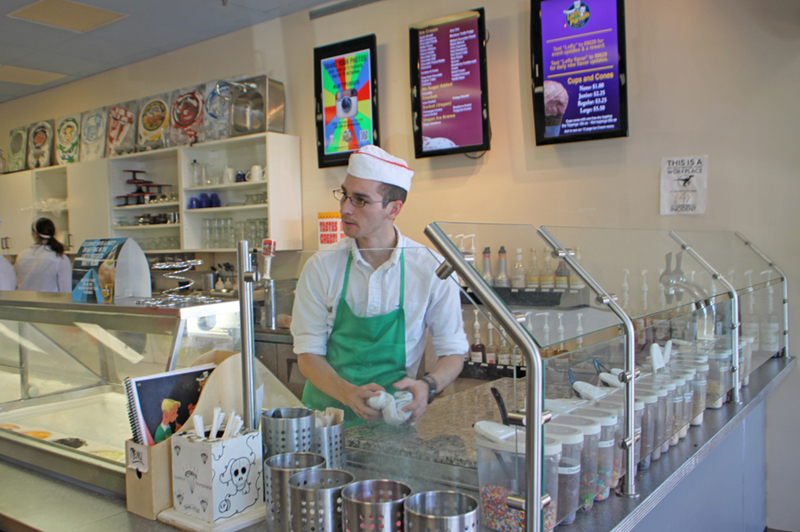 Not only do they serve ice cream and candy, they make them. 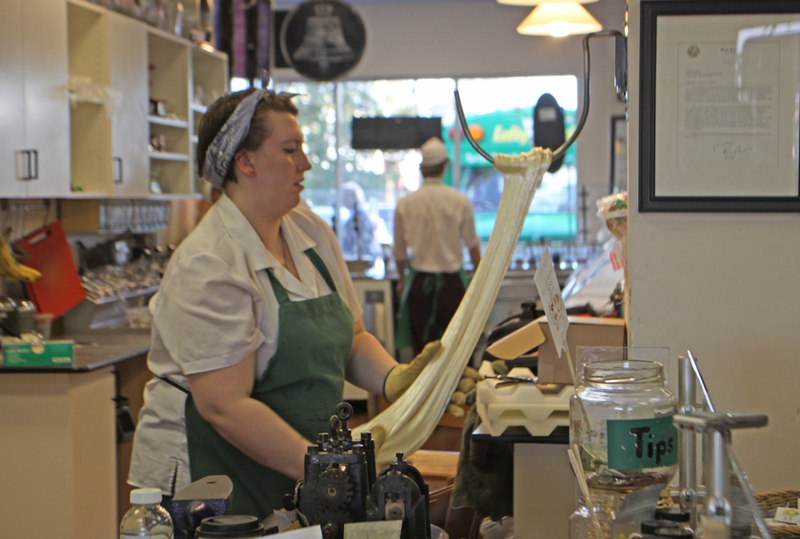 Lofty Pursuits is even more than an Ice Cream and Candy store. They are a yo­yo museum and a interactive museum of vintage toys. While there you (or your youngsters) can open a drawer and take out a toy from the good old days to play with. Those kids who have never experienced rotary phone can dial a 1920's pay phone there and listen to all sorts of recordings related to famous persons. The museum theme is furthered by some 19th century candy making tools. Lofty Pursuits has special game days where patrons can compete. For adults there are even some alcoholic milkshakes and other drinks. 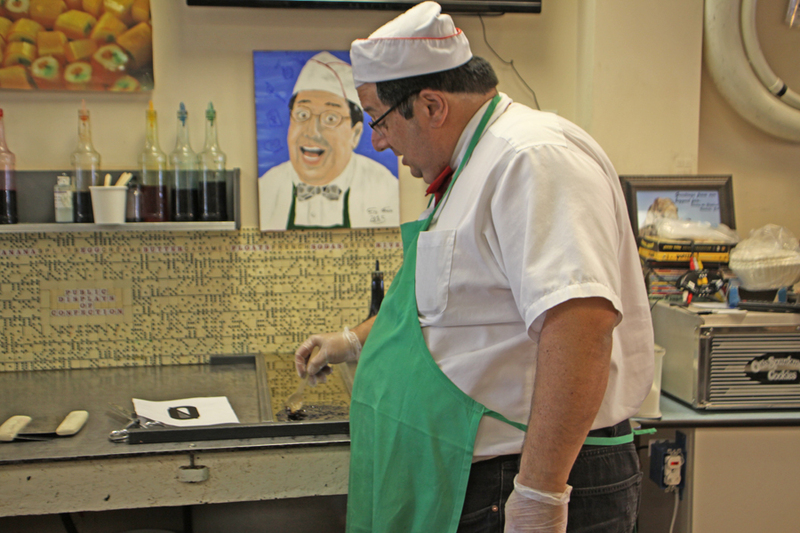 I was there when owner, Gregory Cohen, was making some hard candies. Just watching was a treat. What I sampled: Chocolate Soda, Root Beer Float, Chocolate Sunday and naturally a piece of freshly made hard candy. 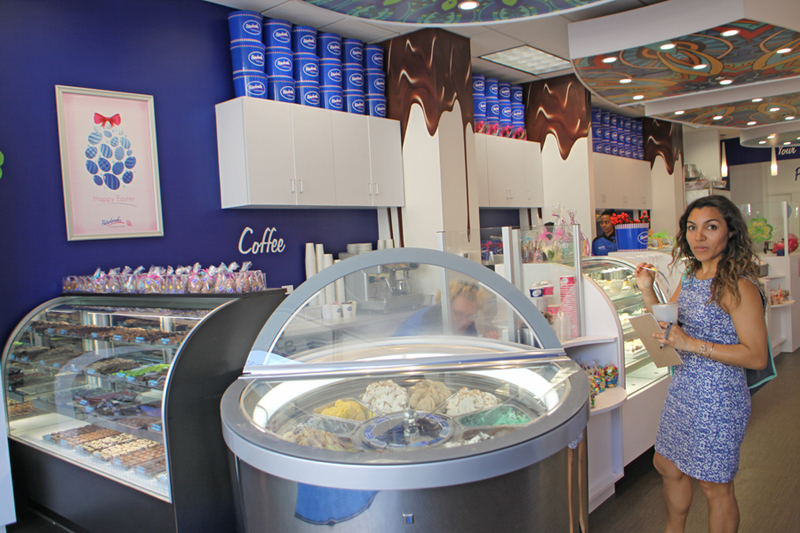 Downtown Jacksonville is not where you expect to find an ice cream parlor and candy shop but that's just where you find Peterbrooke, one of the biggest names in the candy business. It's just steps away from The Landing, Jacksonville's downtown hub oin the river. Chocolate covered popcorn is one of their specialties. It's not all you will find here however, every kind of specially designed candy and tons of ice cream to satisfy any sweet tooth. They serve coffee for the more sober-sided souls. Peterbrooke was founded by a Jacksonville woman, Phyllis Geiger, who named the company for her two boys, Peter and Brooke. If there is a familiar scent about Sweet Pete's it because it's founder is none other than the "Peter" from "Peterbrooke." 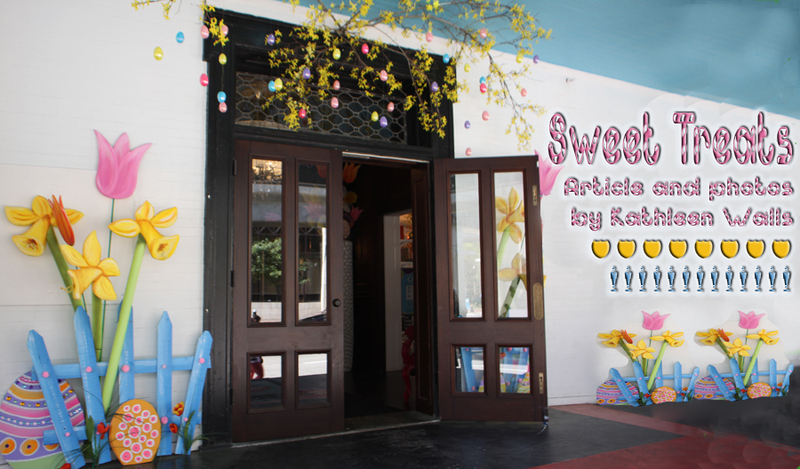 Sweet Pete's has become the go to place in downtown Jacksonville for fun, dining complete with bar, rooftop patio and dessert bar, naturally there is ice cream and candy.. It's housed in a historic Victorian building, The Seminole Club, just catty corner from Hemming plaza. The decor alone is worth the trip. It's Mary Poppins meets Alice in Wonderland. 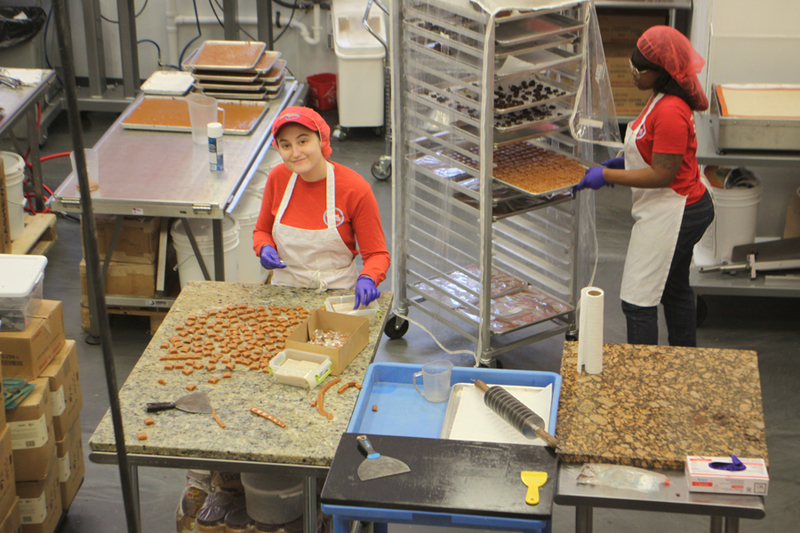 YYou won't want to leave the first floor but do drag yourself upstairs where you can watch the candy being made. Also the ice Cream parlor is on the second floor.